THIS WEBSITE AND ONLINE STORE (THE “SITE”) IS OPERATED BY NEAT BRANDS LLC. NEAT BRANDS, LLC. 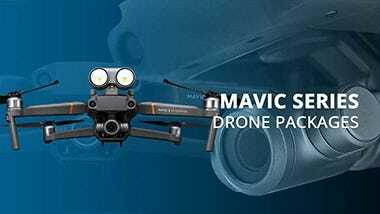 (HEREINAFTER REFERRED TO AS “DRONEFLY”) HAS ALL RIGHTS RESERVED WITH ALL ITS BRAND AND SERIES OF PRODUCTS OFFERED. THROUGHOUT THE SITE, THE TERMS "WE", "US" AND "OUR" REFER TO DRONEFLY. 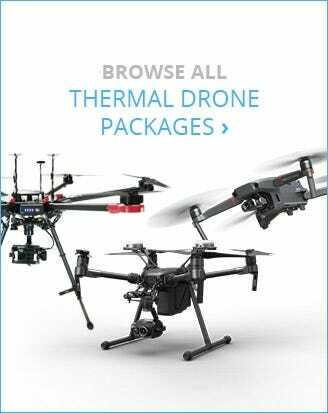 DRONEFLY OFFERS THIS SITE, INCLUDING ALL INFORMATION, TOOLS AND SERVICES AVAILABLE FROM THIS SITE TO YOU, THE USER, CONDITIONED UPON YOUR ACCEPTANCE OF ALL TERMS, CONDITIONS, POLICIES AND NOTICES STATED HERE. No person or company may use this site for any other reason other than shopping for and placing an order for product or service. All materials appearing on this site, including pictures, text, diagrams, instructions, assembly, links, videos, logos, graphics, images, are sole property of Neat Brands, LLC. No person or company may copy, modify, reproduce, download, upload, republish, distribute or transmit any material off this site without our prior written permission. All rights for such acts are exclusively reserved by Dronefly. 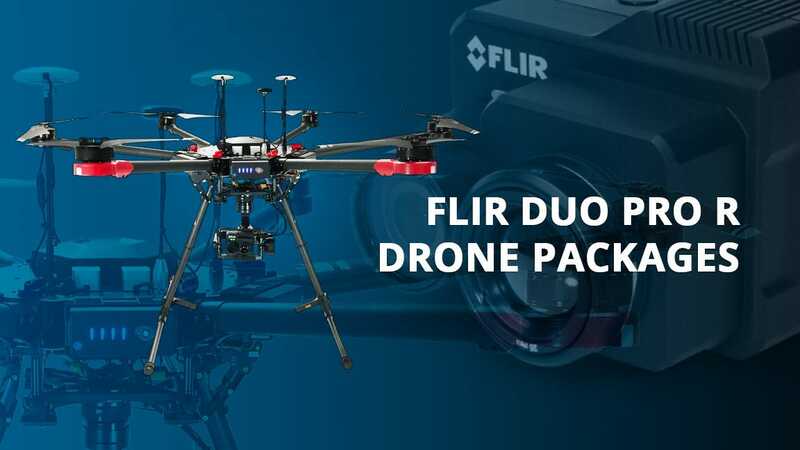 Any unauthorized use of the materials on this website, any use of Dronefly Trademark and any use of our Copyrights may violate trademark and copyright laws, and will result in civil penalties and or criminal charges. 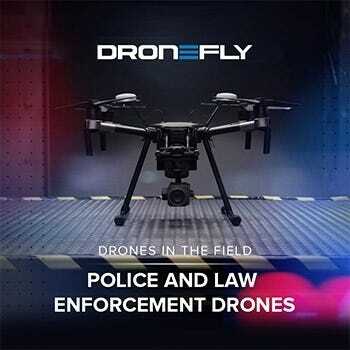 Dronefly is a Trademark licensed by the united stated government. Any use of this name, or any name used that is closely similar will be a direct Trademark infringement. 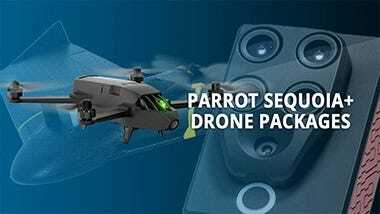 Dronefly will seek Punitive damages against anyone or any company infringing on such trademark or copyright. 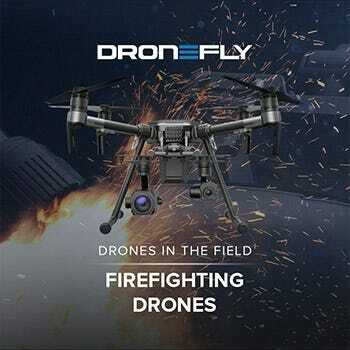 Dronefly strives to provide an excellence customer experience. We will do everything within our capacity to ensure our customers are 100% satisfied with their purchase. We offer a 10-day ‘buyer’s remorse’ on select products from the ship date and with an approved RMA number. 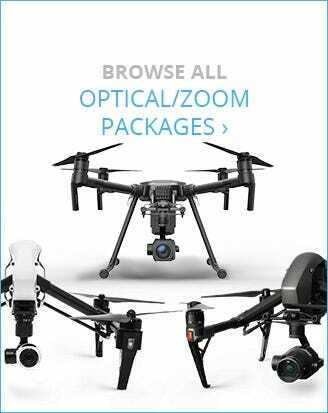 The purchaser can obtain an RMA number by submitting a request to support@Dronefly.com. In order to receive an RMA number, please have your sales receipt ready and complete the online RMA form. A representative will respond to your RMA request within approximately 24 business hours. 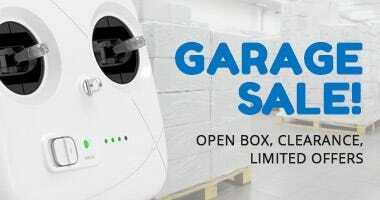 All returned or exchanged items must be in brand new condition, in their original box, and must include all original packing material, packing slip, blank warranty cards, manuals, documents, and all accessories. Items that have been activated, previously flown, used, or show any sign of wear will not be accepted. Unopened boxes can be returned with no questions asked. Items received that do not meet these requirements will not be accepted. At the sole discretion of Dronefly, exceptions may be made to this policy with a minimum 20% re-stocking fee. 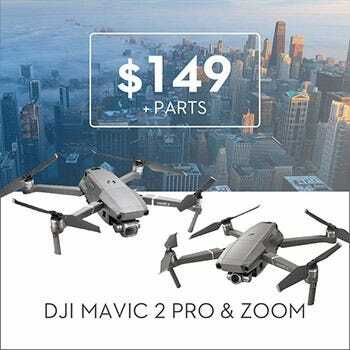 Items deemed DOA may be exchanged within 10 days of the purchase receipt date at the discretion of Dronefly.com for the same model or manufacturer's equivalent model. AFTER THIS PERIOD ALL WARRANTY REQUESTS MUST BE DIRECTED TO THE MANUFACTURER. A pre-paid shipping label or reimbursement for return shipping charges may be provided on DOA item exchanges. Damaged Box or Damaged Product: If you receive damaged or incorrect item(s), contact a Customer Support no later than 5 business days of receipt of your shipment to make the necessary corrections. If there is extensive damage to the box, refuse delivery and contact a Customer Support immediately at 805-480-4033. 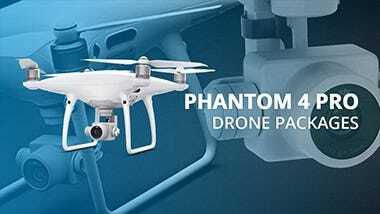 Refusal of Delivery: If a package is refused for delivery, outside of arriving damaged or in a damaged box, the customer will be responsible for actual shipping charges incurred by Dronefly. 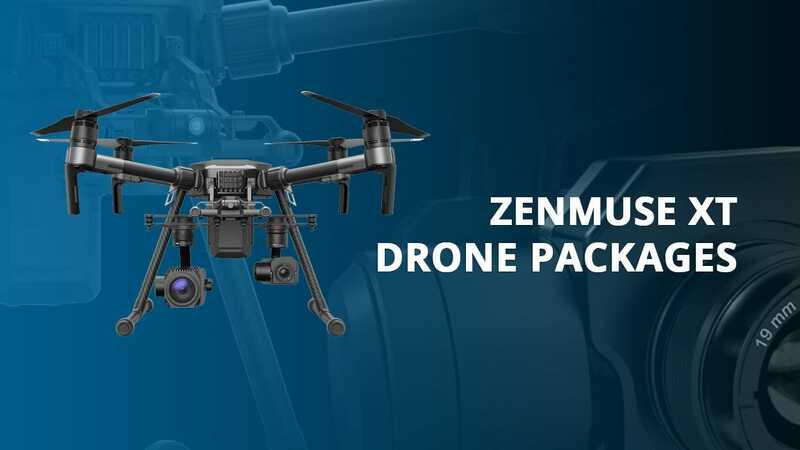 Once we receive the package back in our warehouse, we will issue a credit to the original form of payment for the purchase price less the actual shipping cost of shipping the package to you and returning it to the Dronefly warehouse. This shipping charge will apply even if you were not originally charged shipping under a free shipping promotion. The purpose of this is to defray unnecessary shipping costs and to allow us to offer the lowest prices possible. This does not apply to packages that appear to be damaged in shipping. Incorrect Shipping Address Provided: Packages that are returned because of an incorrect address provided by the customer will be subject to additional shipping charge. 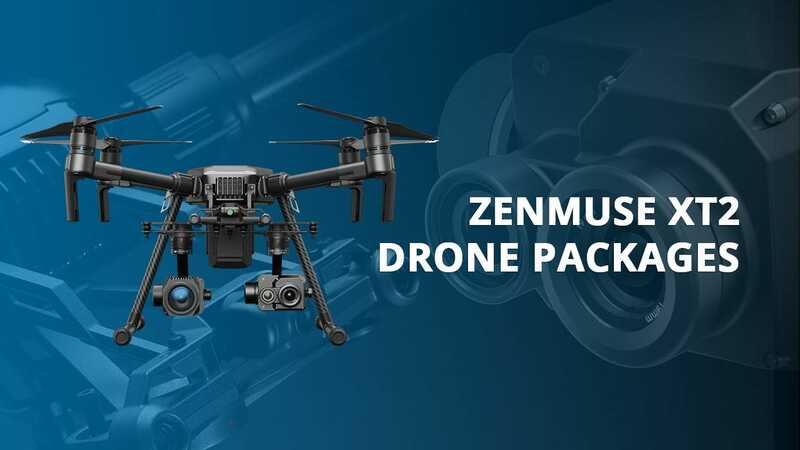 Once we receive the package back in our warehouse, we will issue a credit to the original form of payment for the purchase price less the actual shipping cost of shipping the package to you and returning it to the Dronefly warehouse. This shipping charge will apply even if you were not originally charged shipping under a free shipping promotion. Requests for packages to be reshipped will be subject to a reshipping fee. If the package is returned and customer has not contacted a customer support the order will then be refunded back to the original form of payment. Shipping times do not include the day the order ships. This does not apply to delays caused by acts beyond Dronefly control, such as acts of God, strikes, lockouts or disasters. 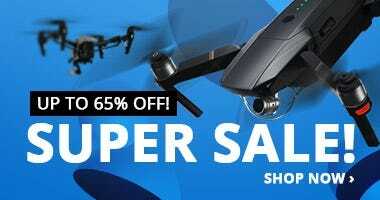 Dronefly reserves the right to cancel or suspend this offer should a computer virus, unauthorized intervention or other cause corrupt the integrity or the proper conduct of the offer. Dronefly reserves the right to disqualify any order found to be disrupting the operation of the offer or website. 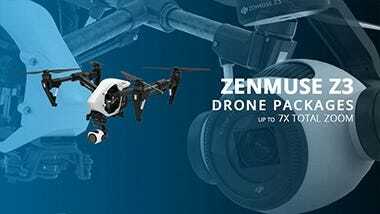 THE WARRANTY ON PRODUCTS DOES NOT COVER, AND DRONEFLY IS NOT RESPONSIBLE IN ANY WAY, FOR DAMAGE TO OTHER EQUIPMENT DUE TO A FAILURE OF A COMPONENT. 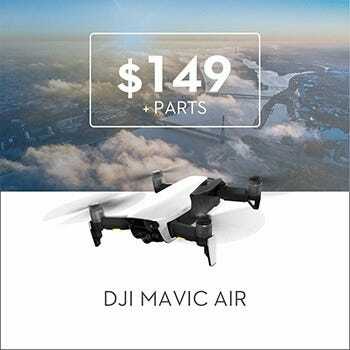 DRONEFLY IS NOT RESPONSIBLE IN ANY WAY FOR THE USE, MISUSE, OR ANY INJURY OR DAMAGE TO PERSONS OR PROPERTY FROM USE OF ANY EQUIPMENT PURCHASED ON OUR SITE. 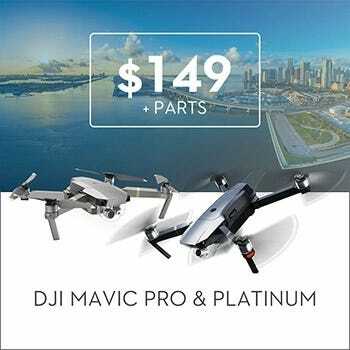 DRONEFLY DOES NOT PROVIDE ANY WARRANTIES WHATSOEVER AND DEFERS TO THE MANUFACTURER FOR ANY COMPLAINTS/WARRANTIES/GUARANTEES AS DRONEFLY DOES NOT MAKE, MANUFACTURE, OR FABRICATE ANY OF THE PRODUCTS FOUND HEREIN UNLESS SPECIFIED. Dronefly may provide a return Fedex or UPS shipping label or reimbursement of shipping charges to return any product deemed DOA at their sole discretion. Otherwise, you will be responsible for paying shipping costs for all other authorized returns. Shipping costs are non-refundable. If you receive a refund, the cost of return shipping will be deducted from your original purchase amount less the shipping charges. International Shipping Policy - We ship worldwide! We work with various companies to ensure that you get the best rate possible for your international shipping needs. Contact us to get specific rate quotes. Due to the rise of credit card fraud and Pay Pal fraud, we can only accept wire payments for international orders. 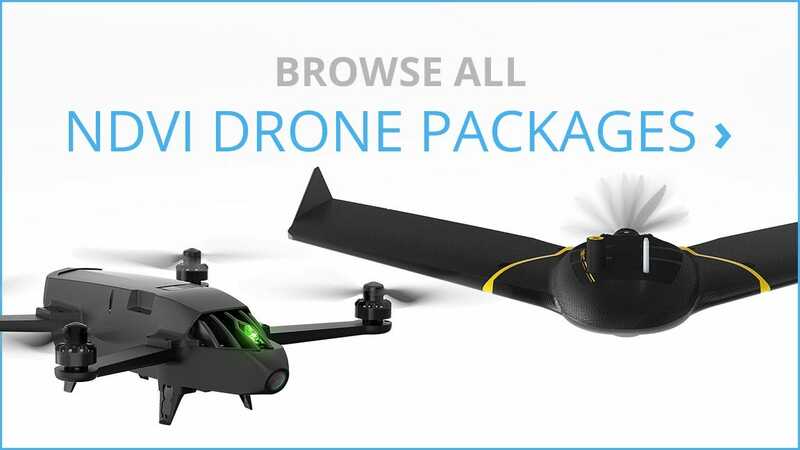 If you are an international customer, please contact us at sales@Dronefly.com with what you would like to order. Please provide your shipping address and full company name and contact information. We will then get you a quote including shipping charges. 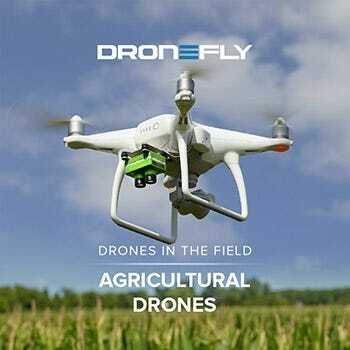 Dronefly will always declare the actual value of the product ordered. It is the purchaser’s responsibility to pay ANY and ALL Customs Duties, Taxes, Government handling/shipping fees, brokerage fees. 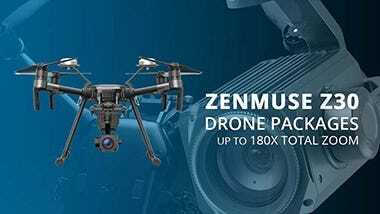 Dronefly will NEVER be responsible for any such costs incurred through international shipping. Dronefly reserves the right to use and or change the shipping method chosen or requested. International Purchasers accept responsibly and understand that there could be delays, holds, and other problems encountered as shipment passes through their customs. 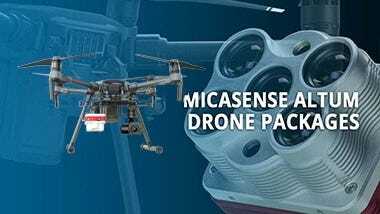 Dronefly is not Liable or responsible for any problems incurred through shipping international orders. Customs Clearance varies from country to country. Purchaser should plan ahead for any such delays along with any Fees or costs that could occur through receiving an order through their customs. In the event that we make a change to or cancel an order, we may attempt to notify you by contacting the e-mail and/or billing address/phone number provided at the time the order was made. We reserve the right to limit or prohibit orders that, in our sole judgment, appear to be placed by dealers, resellers or distributors. You agree to provide current, complete and accurate purchase and account information for all purchases made at our store. You agree to promptly update your account and other information, including your email address and credit card numbers and expiration dates, so that we can complete your transactions and contact you as needed. 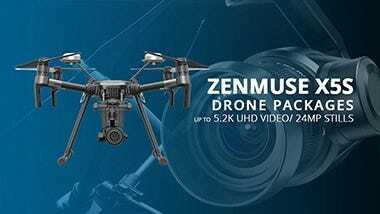 Any messages sent though this website, and or through any Dronefly email account, is strictly confidential and only intended for the intended recipients viewing and information. The information contained in such communications and or emails (which means the narrative, attachments and links) is intended only for the personal and confidential use of the recipient(s) specifically named therein. To the extent that the information is confidential to Dronefly, it is not to be disclosed to any others (without prior written consent from Dronefly), and in no event to the general public. If the reader of such email or message is not the intended recipient; the reader is notified that you have received this email or message in error and that any review, distribution or copying of this email or message is prohibited. If you have received this email or message in error please notify the sender immediately by telephone at 805-480-4033 or by reply email. IN NO CASE SHALL DRONEFLY, OUR DIRECTORS, OFFICERS, EMPLOYEES, AFFILIATES, AGENTS, CONTRACTORS, INTERNS, SUPPLIERS, SERVICE PROVIDERS OR LICENSORS BE LIABLE FOR ANY INJURY, LOSS, CLAIM, OR ANY DIRECT, INDIRECT, INCIDENTAL, PUNITIVE, SPECIAL, OR CONSEQUENTIAL DAMAGES OF ANY KIND, INCLUDING, WITHOUT LIMITATION LOST PROFITS, LOST REVENUE, LOST SAVINGS, LOSS OF DATA, REPLACEMENT COSTS, OR ANY SIMILAR DAMAGES, WHETHER BASED IN CONTRACT, TORT (INCLUDING NEGLIGENCE), STRICT LIABILITY OR OTHERWISE, ARISING FROM YOUR USE OF ANY OF THE SERVICE OR ANY PRODUCTS PROCURED USING THE SITE OR SERVICE, OR FOR ANY OTHER CLAIM RELATED IN ANY WAY TO YOUR USE OF THE SERVICE OR ANY PRODUCT, INCLUDING, BUT NOT LIMITED TO, ANY ERRORS OR OMISSIONS IN ANY CONTENT, OR ANY LOSS OR DAMAGE OF ANY KIND INCURRED AS A RESULT OF THE USE OF THE SERVICE OR ANY CONTENT (OR PRODUCT) POSTED, TRANSMITTED, OR OTHERWISE MADE AVAILABLE VIA THE SERVICE, EVEN IF ADVISED OF THEIR POSSIBILITY. BECAUSE SOME STATES OR JURISDICTIONS DO NOT ALLOW THE EXCLUSION OR THE LIMITATION OF LIABILITY FOR CONSEQUENTIAL OR INCIDENTAL DAMAGES, IN SUCH STATES OR JURISDICTIONS, OUR LIABILITY SHALL BE LIMITED TO THE MAXIMUM EXTENT PERMITTED BY LAW. You agree to indemnify, defend and hold harmless Dronefly and our parent, subsidiaries, affiliates, partners, officers, directors, agents, contractors, licensors, service providers, subcontractors, suppliers, interns and employees, harmless from any claim or demand, including reasonable attorneys' fees, made by any third-party due to or arising out of your breach of these Terms of Service or the documents they incorporate by reference, or your violation of any law or the rights of a third-party. It is the responsibility of the buyer to determine the legality of the use of item purchased from this site in their particular locations. It is the sole responsibility of the Purchaser to determine whether or not the products purchased are suitable for their intended use. 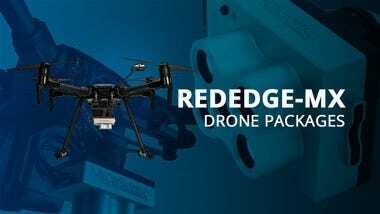 Dronefly and its ownership take no responsibility for damage incurred due to equipment failure or from any other use of the equipment. Dronefly takes no responsibility from any legal requirements purchaser may need for operating or receiving purchased items. Purchaser Releases Dronefly, Its Officers and its employees of all Liability and responsibility from any personal or property damage that Purchaser causes. Purchaser agrees that they are solely responsible for any and all personal or property damage that they cause. 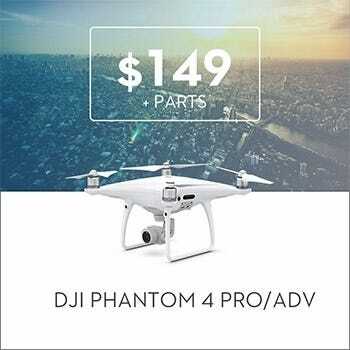 Buyer agrees that any items purchased are to be used by the purchaser only and are not being purchased to be resold without specific approval from Dronefly. 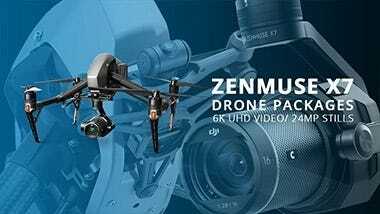 Dronefly will not be liable and will not take any legal responsibility for any equipment that is sold to another party after being shipped to the original purchaser. The buyer agrees that they will adhere to all Local and Federal laws and regulations, and that they will not use the equipment in a way that endangers the buyer or any other individuals or property. 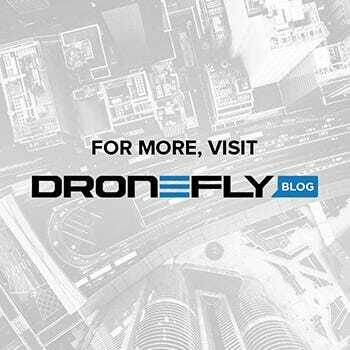 Dronefly recommends that purchaser never fly without first purchasing Liability insurance. Purchaser understands that AMA or modelers insurance typically will not cover liability or damages to persons or property. Dronefly recommends that purchaser contact an Insurance company to purchase proper coverage for themselves or for their business. 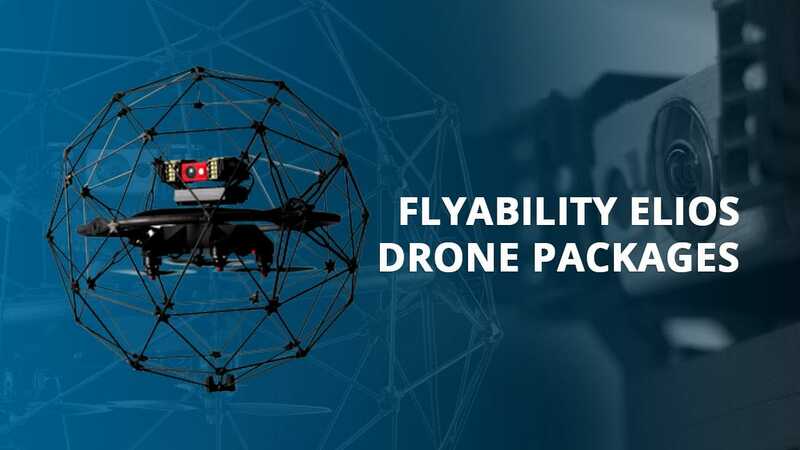 The materials, Videos, content presented on Dronefly Website, and on Dronefly YouTube Channel are only for “Informational and Entertainment Purposes Only”. 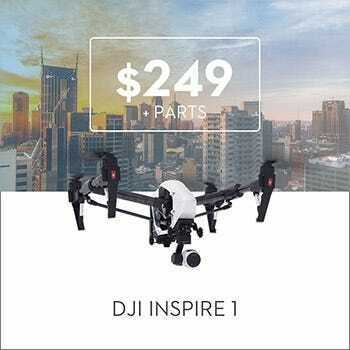 By choosing to view material such as Videos or other content on Dronefly Website, and or on Dronefly YouTube Channel, you the Viewer or Customer agree that you are Solely responsible and Liable for any actions you take that result in any property damage or personal injury, from viewing such material. You the viewer or customer should be aware that if you choose to and attempt anything shown or expressed through Dronefly Content, that you are doing so entirely at your own risk which includes: Flying Drones, Multi-Rotors, Radio Controlled Aircraft, soldering, modifying, tuning, adjusting, setting up, making changes, programming, or anything else that you may have been inclined to attempt from viewing any of the material on Dronefly Website, and or on Dronefly YouTube Channel. 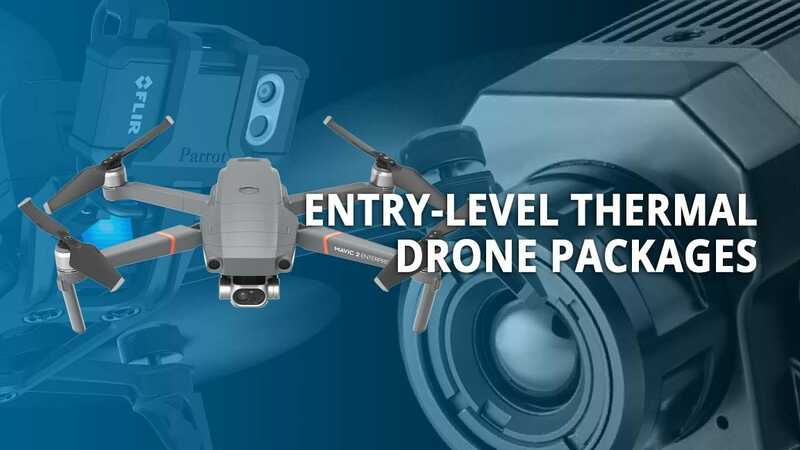 You the Viewer or customer hereby agrees that Dronefly does not assume any third party liability arising out of any legal actions you the viewer or customer may be involved in as a result of viewing any material on Dronefly Website, and or on Dronefly YouTube Channel. It is agreed by you the viewer or customer in full, that Dronefly or the video production company producing its videos, its owners, participants, advertisers, heirs, but not limited to, are completely released from now until the end of time of any liability whatsoever, for any injuries or losses by you the reader, customer, purchaser, viewer or any other person may incur as a result of engaging, or from the viewing of any material on Dronefly Website, and or on Dronefly YouTube Channel.